Perhaps you’re looking for your next exciting project, or perhaps you’re thinking about investing in a yacht with friends and family. Venturing into yacht ownership is a huge decision. 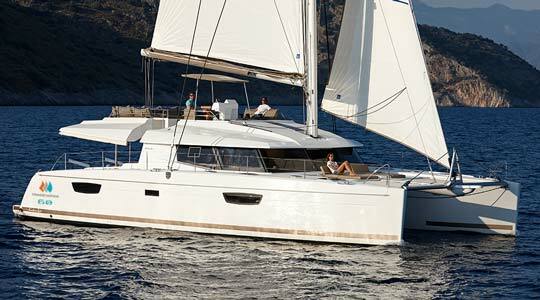 And one of the questions we’re often asked is: what is the cost of yacht ownership with TradeWinds? It’s an important question, and it really comes down to whether you decide to stick your toe in, take a dip or dive straight in. The beauty of the TradeWinds Luxury Yacht Ownership Program is that we give you three simple ways to purchase. This means you can choose the best option for you. As our TradeWinds yacht owners will tell you, the cost of yacht ownership varies depending on each individual and their needs. We take into consideration the specifications, configuration, and management agreement that our owners select. If you’re interested in finding out what option is the best for you, you can calculate the cost of ownership using our calculator below. 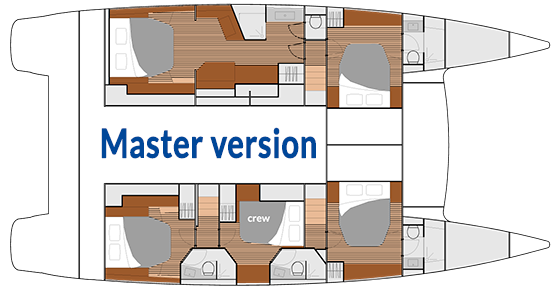 You’ll be able to select your preferred model of yacht, your chosen configuration and how much you would like to invest. Our team will generate an estimated figure based on your options. Pay for your yacht outright and choose from either a 6 or 12 year yacht management agreement with us. You'll get all the above benefits plus up to a 7.5% guaranteed annual tax free return1 AND up to 20 weeks of All Inclusive sailing each year on board your own yacht or any other yacht in our worldwide exclusive fleet. 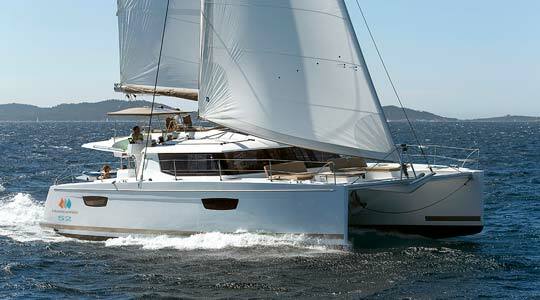 After completion of the yacht management agreement period, you get to sail away your yacht. Please note that the guaranteed annual tax free return is 7.5% for a 5 cabin yacht and 6% for a 4 cabin on the 6 year Management Agreement only. 1Annual tax free return is based on the original purchase price. Invest 50% up front and choose from either a 6 or 12 year yacht management agreement. With the 12 year agreement, no further payment is made, and after completion of the yacht management agreement, you get to sail away your yacht. With the 6 year option, you make a predetermined balance payment and the yacht is yours to sail away in! Regardless of which term you choose, you’ll get all the above benefits AND up to 20 weeks of All Inclusive sailing each year on board your own yacht or any other yacht in our worldwide exclusive fleet. Invest just 25% and we'll match you with other like minded investors. 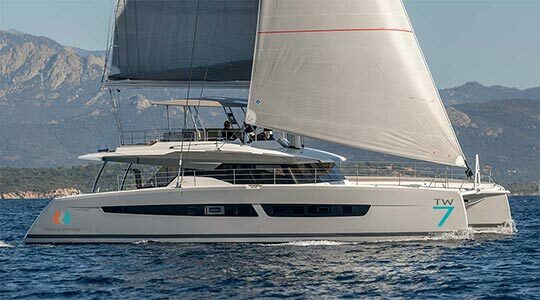 You'll get up to ten weeks of All Inclusive sailing each year on your own yacht or any other yacht in the fleet plus many other special benefits. After 12 years, the yacht is sold and you will receive 25% of the proceeds. 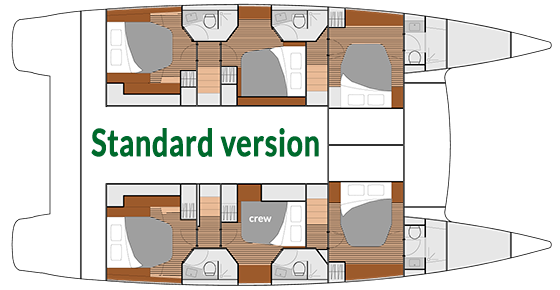 This option is only available as a 12 year term, and for TradeWinds 52, and the TradeWinds 60 yachts. When you choose to purchase your own yacht with our exclusive TradeWinds Luxury Yacht Ownership Program, you'll be able to sit back and enjoy a number of yacht ownership benefits.